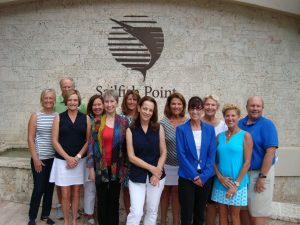 The Sailfish Point Foundation, Martin County’s largest private scholarship donor, is proud to announce it is partnering with The Community Foundation Martin-St. Lucie to enhance its scholarship program for Martin County high school graduates. 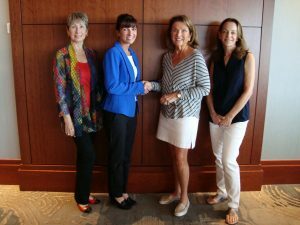 The new agreement expands the program to include two-year college scholarships with options to renew for up to four years. The partnership, which is effective immediately, will benefit this year’s high school graduating class. 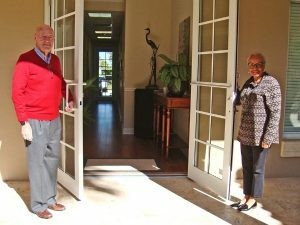 Community Foundation board members Jack Forde and Bunny Webb at the new offices of The Community Foundation Martin – St. Lucie in Monterey Commons in Stuart. 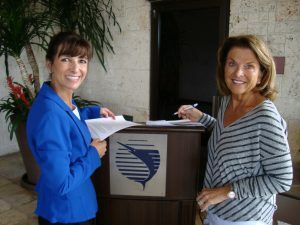 The Frances Langford Fund for Martin County at the Martin County Community Foundation awarded 303,620.00 to innovative projects tackling dementia, literacy, infant mental health, toxic algae blooms, job training, and teen recreation at an awards ceremony held last night at the Dolphin Bar and Shrimp House in Jensen Beach, the landmark restaurant formerly owned by the fund’s namesake, actress and singer, Frances Langford. 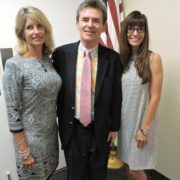 Congratulations to Impact 100 Martin on issuing their first grant! 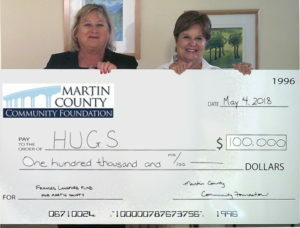 https://www.thecommunityfoundationmartinstlucie.org/wp-content/uploads/2018/12/TCF-Horiz-Logo-stacked-high-res-300x88.jpg 0 0 Robin C https://www.thecommunityfoundationmartinstlucie.org/wp-content/uploads/2018/12/TCF-Horiz-Logo-stacked-high-res-300x88.jpg Robin C2018-04-05 16:48:112018-04-06 17:23:00Congratulations to Impact 100 Martin on issuing their first grant! 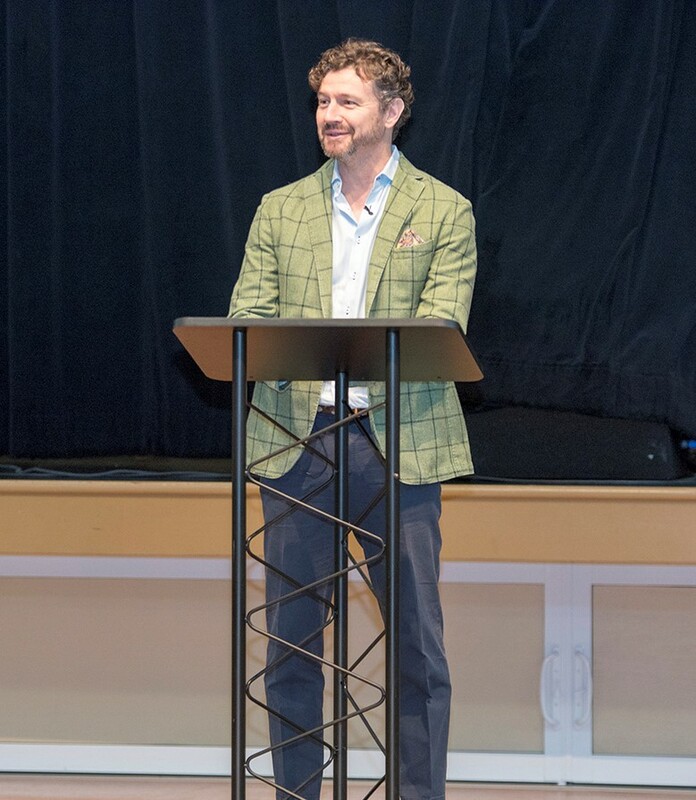 Michael Verde spoke to an intimate group of philanthropists, fundholders, board members, and special invited guests about Transcendent Leadership. 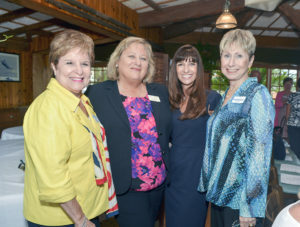 “Today was a perfect example of what we say about Martin County Community Foundation in our literature – it provides philanthropically motivated people to have very special learning experiences in an intimate setting.” – Brian Foss, MCCF Board Members and Fundholder. 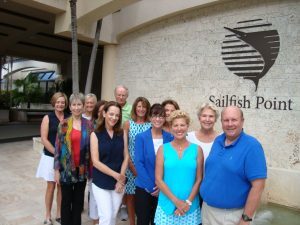 Martin County Community Foundation’s board member Brian Foss led a sold-out room of nonprofit leaders and their selected board members to discuss Ten Traits That Make Nonprofits Great. 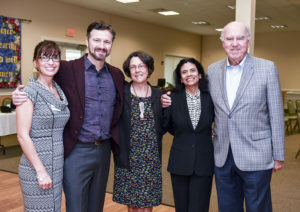 The Martin County Community Foundation hosted an exclusive event in March at the Huizenga Family Center for a gathering of our most valued philanthropists where Michael Verde presented “Living in Fullness Everyday: The Spirit of Communication”. 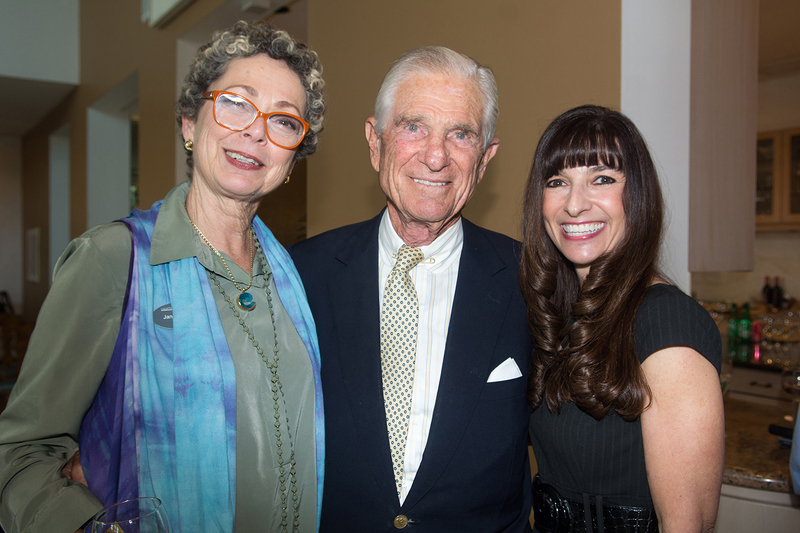 In early March, Peter Lawson-Johnston, author of “Growing Up Guggenheim”, spoke to local philanthropists gathered at the home of Ellyn and Ray Stevenson about his life, his family, and his work, all marked by the legacy of his great grandfather, Solomon R. Guggeneheim, a name long associated with great art and philanthropy.